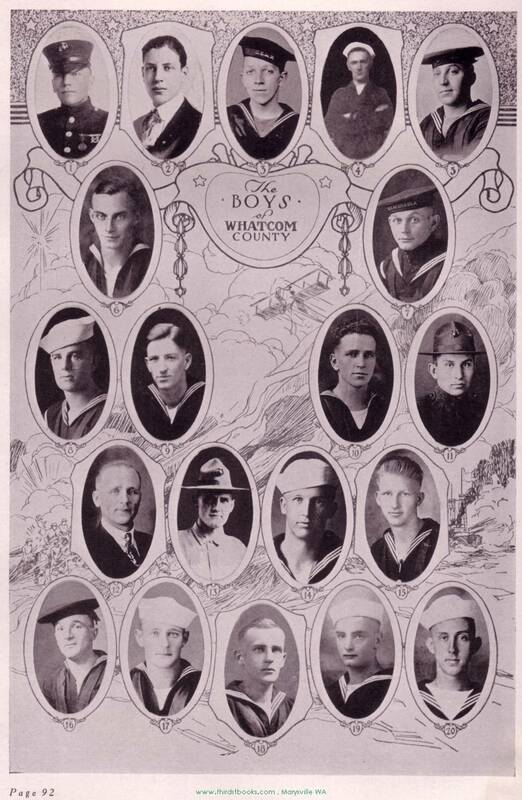 With the Colors from Whatcom, Skagit, San Juan counties 1917, 1918, and 1919. 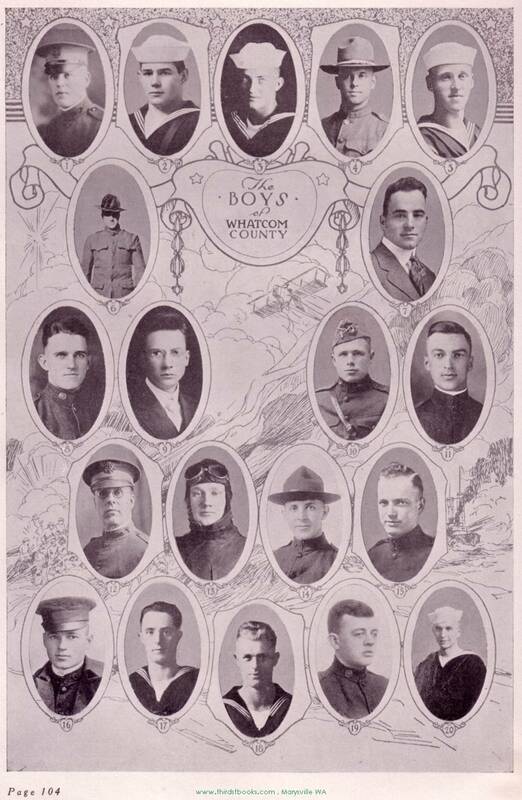 Washington U.S.A. 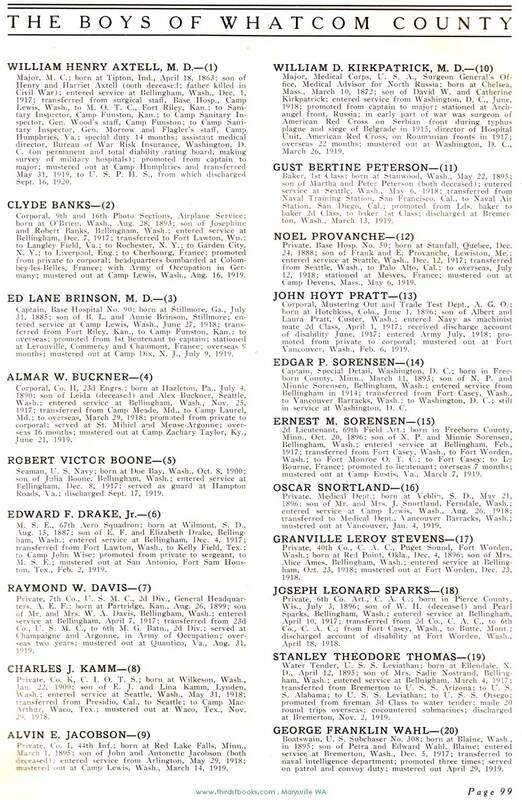 Compiled and Published by Louis Jacobin. 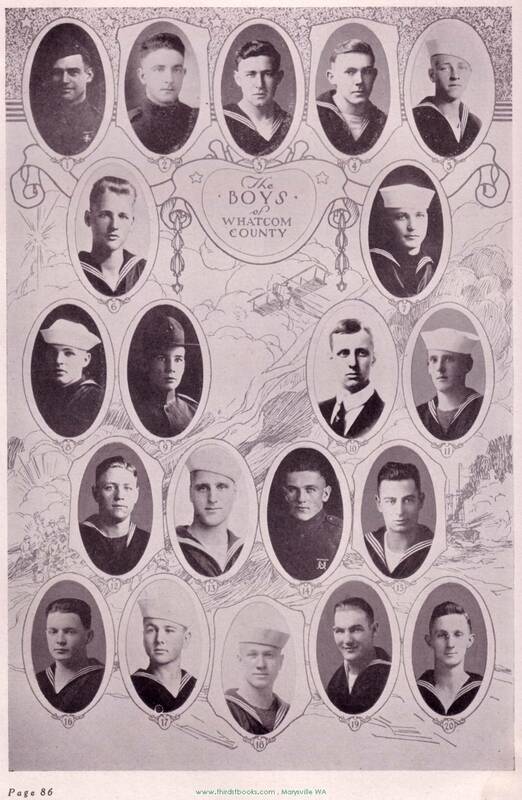 Copyright, 1921 from the Press of Peters Publishing Company Seattle, Washington 1921. 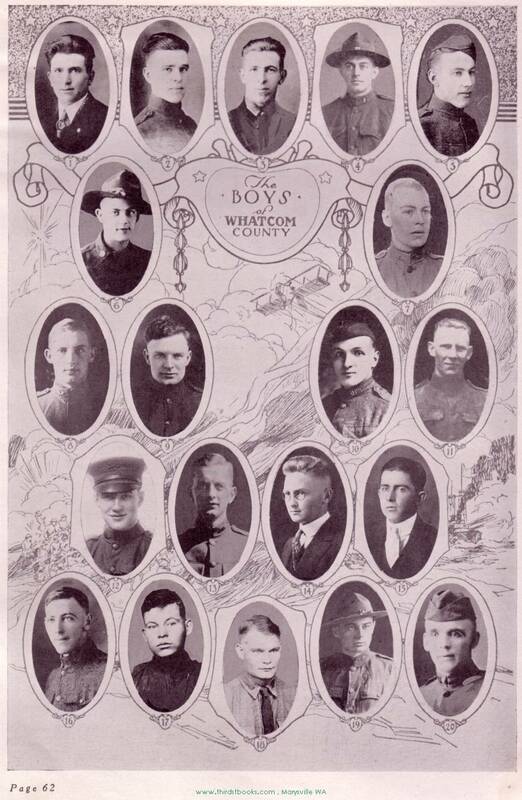 It is a listing the young men who served in World War I from Whatcom, Skagit, and San Juan counties. 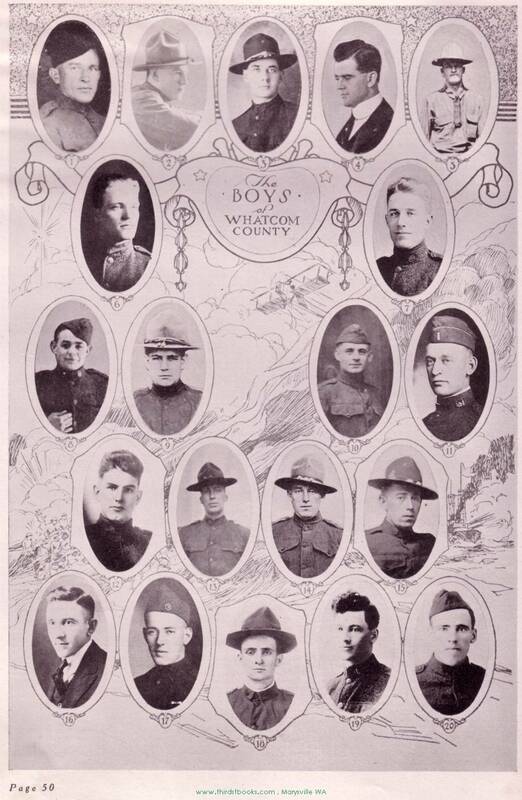 It contains pictures and short biographies. 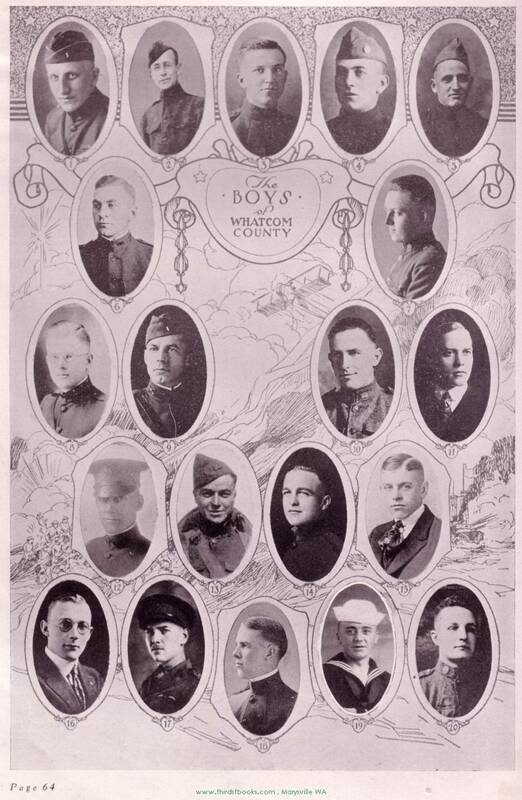 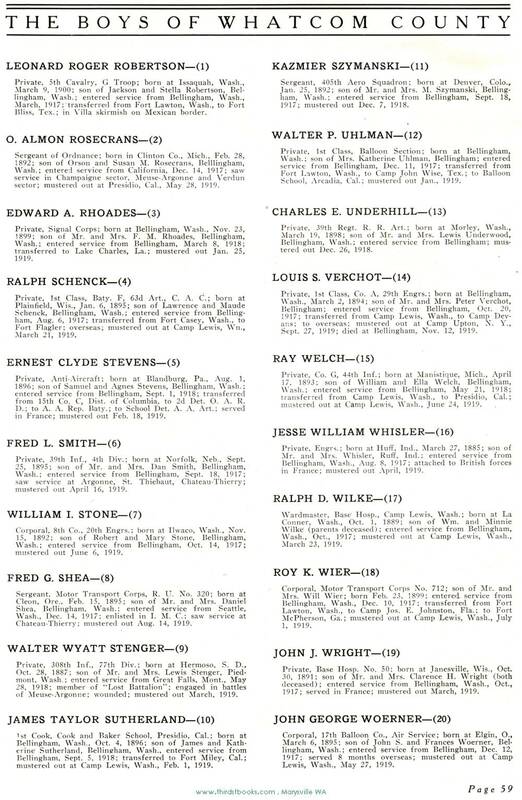 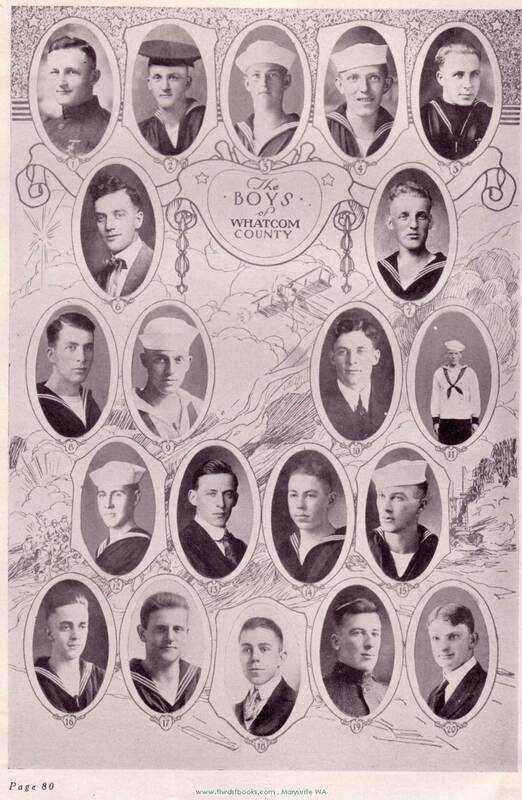 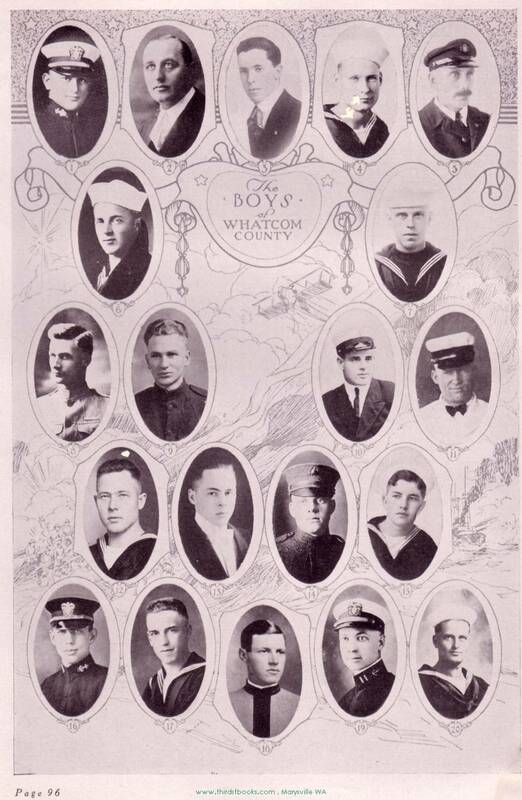 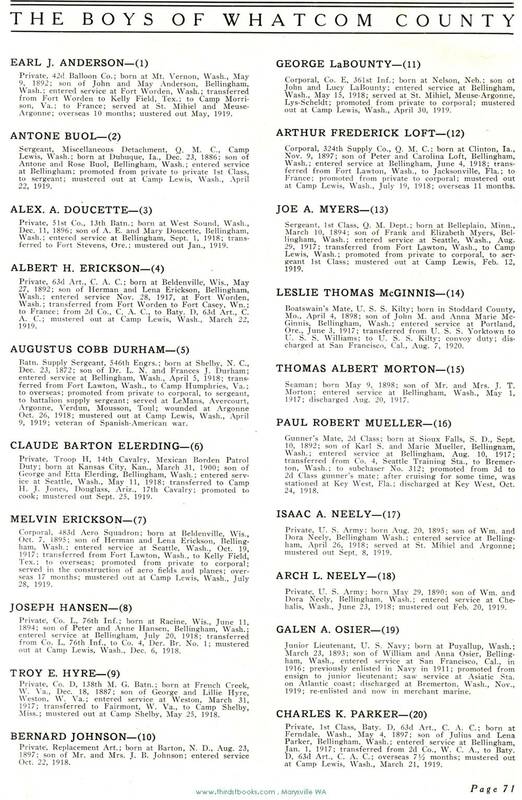 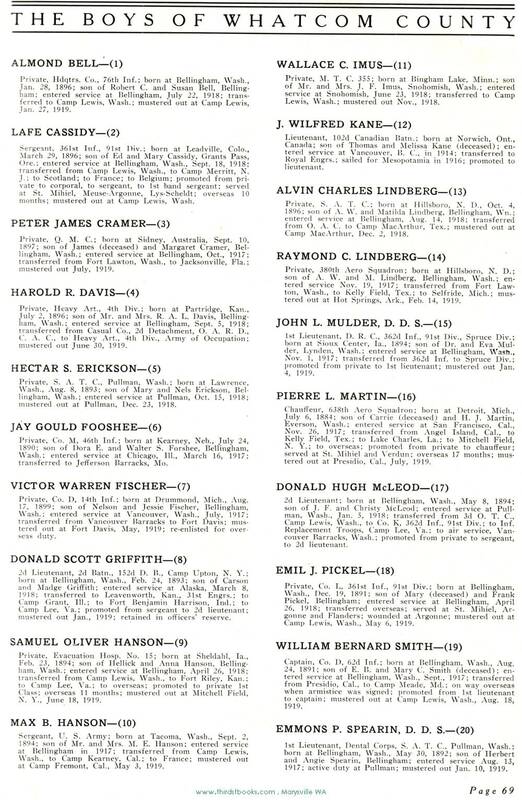 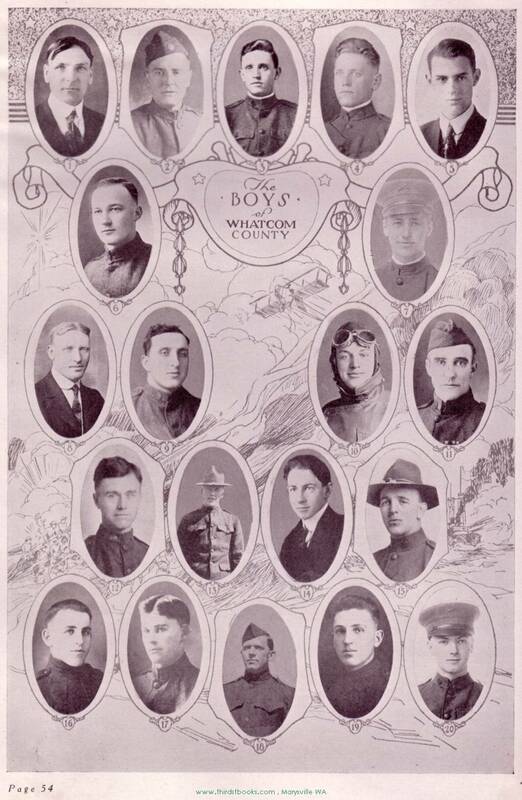 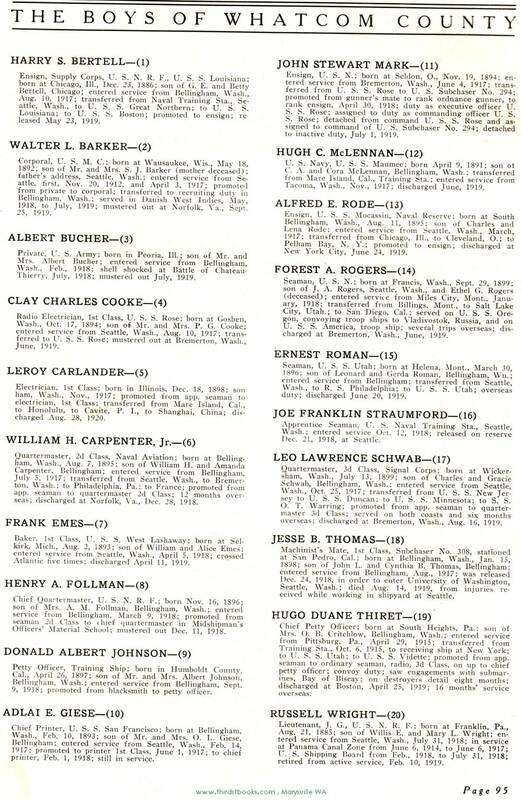 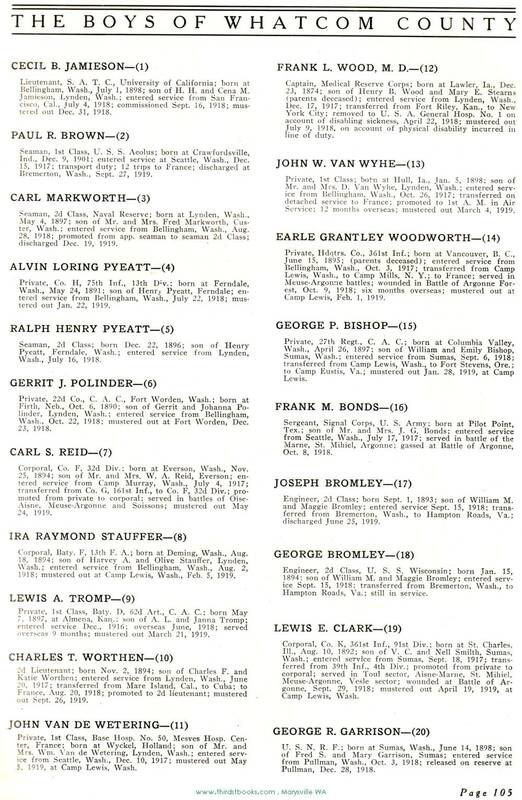 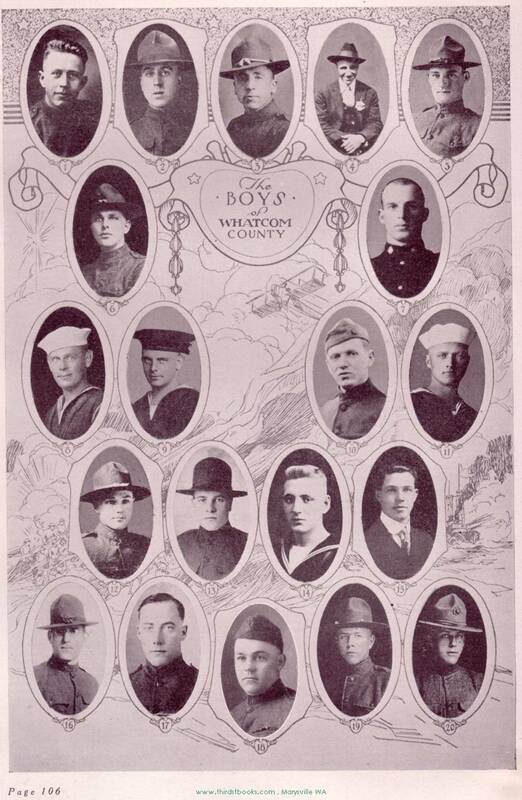 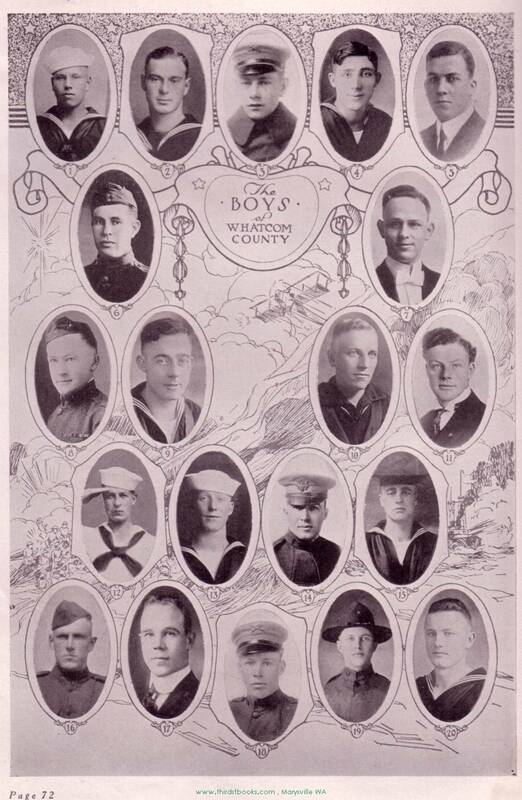 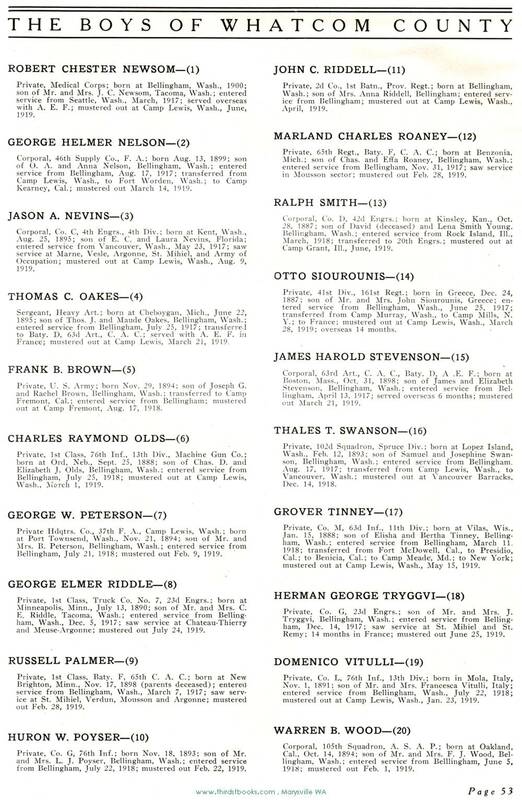 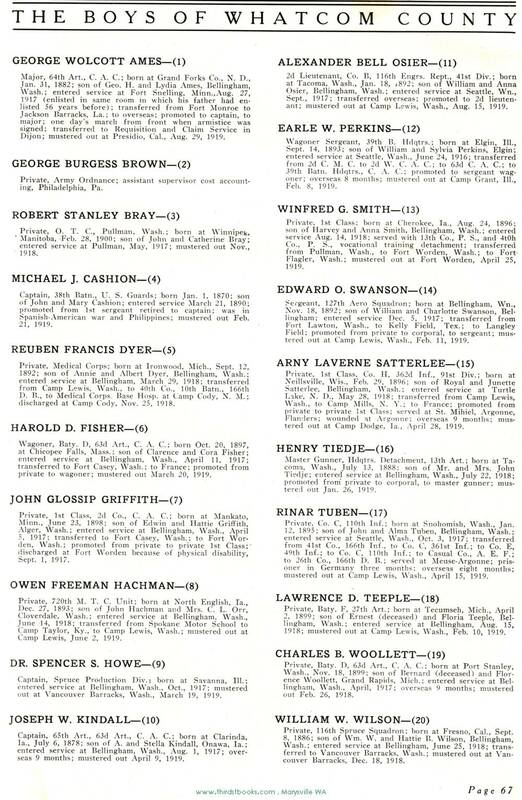 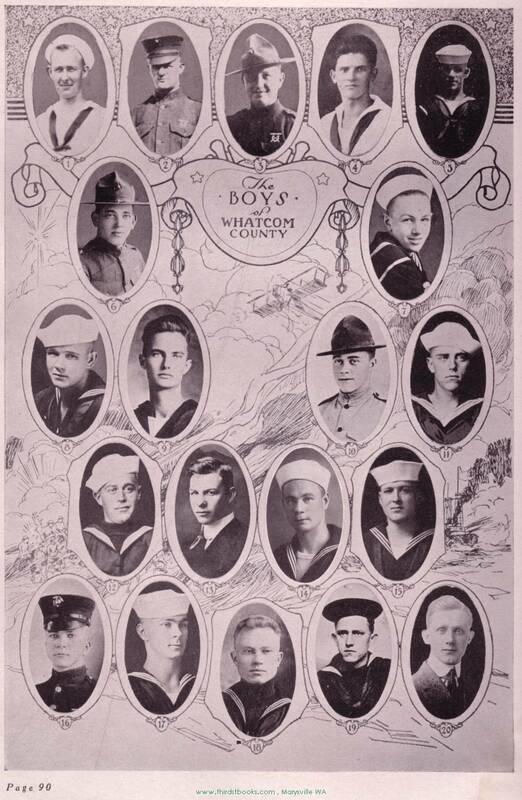 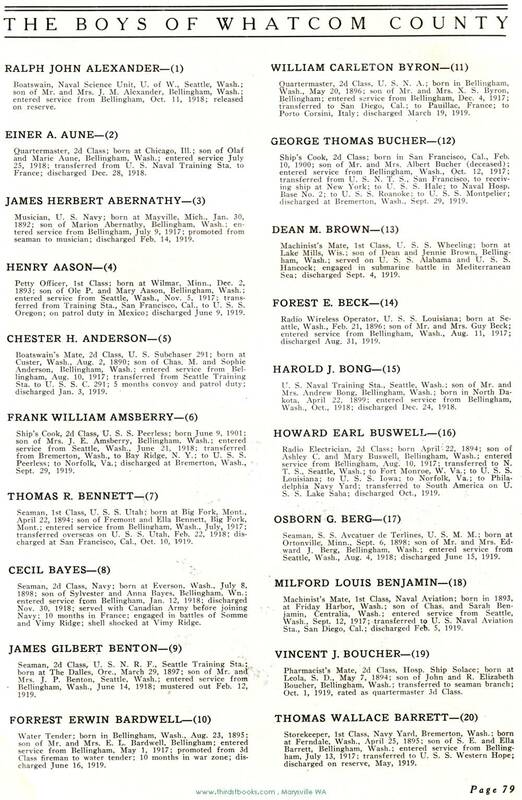 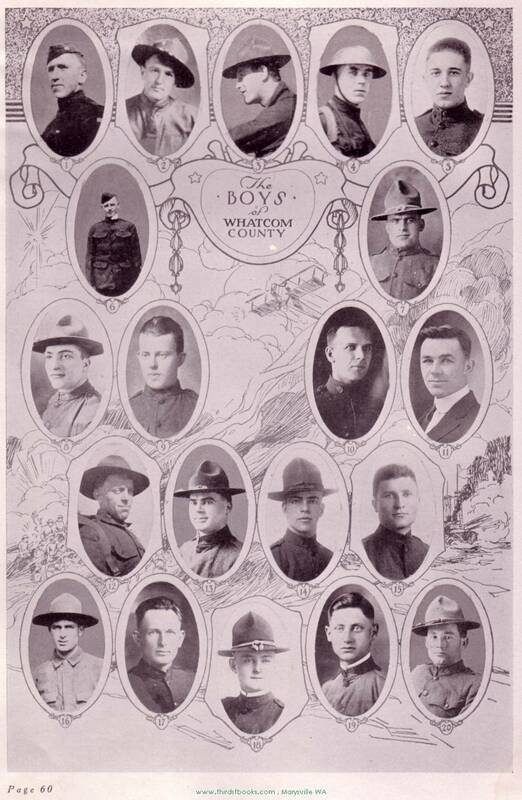 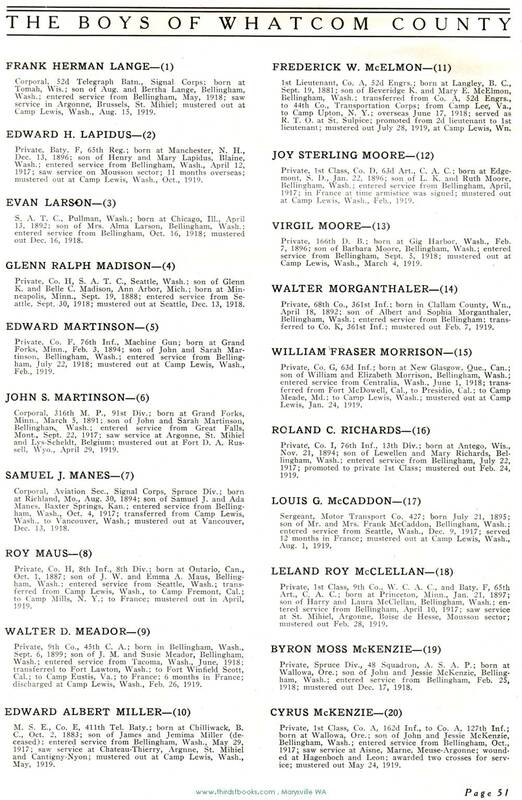 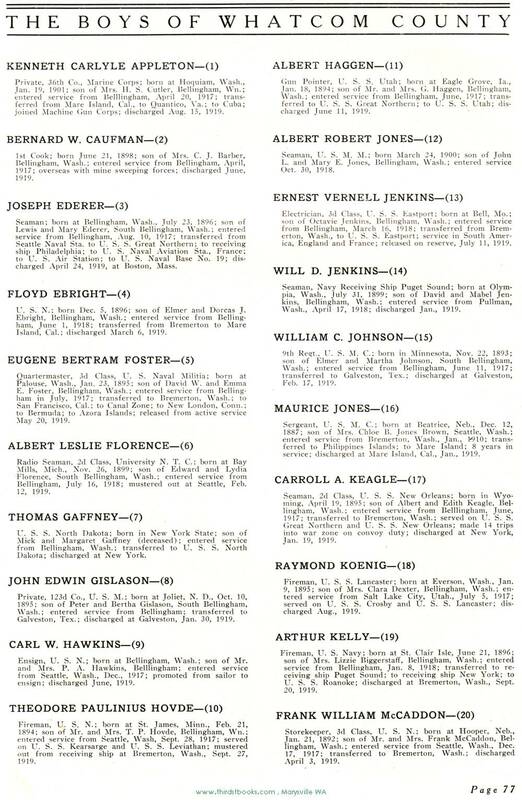 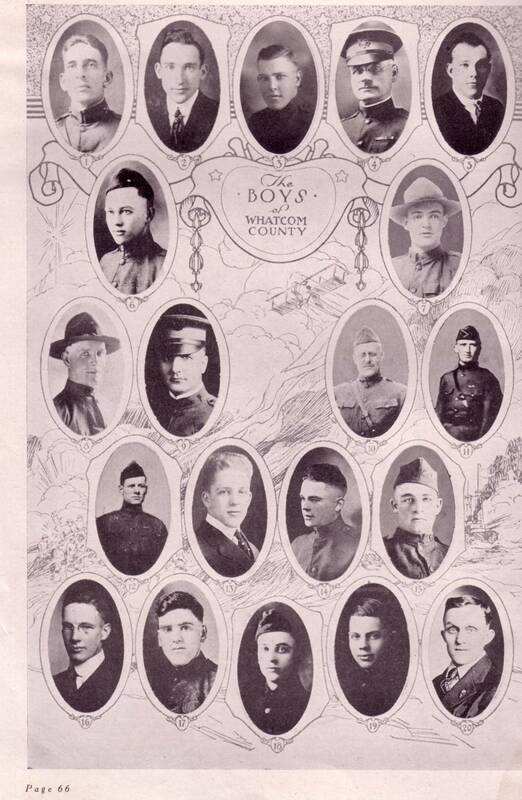 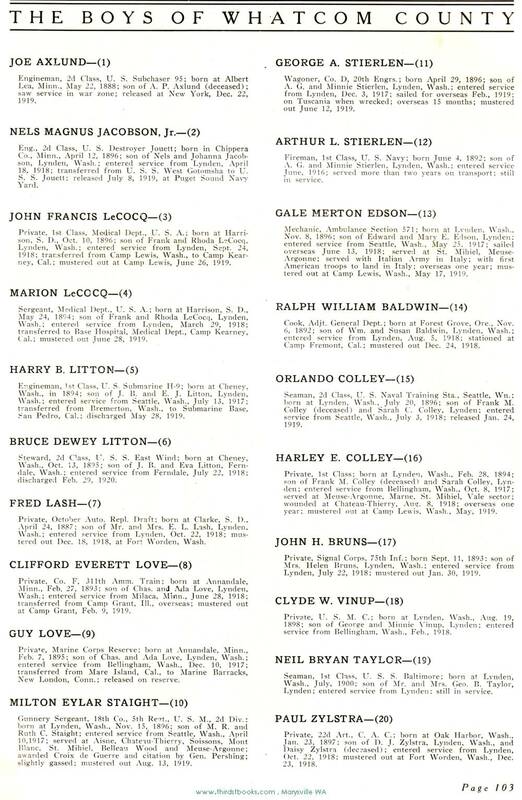 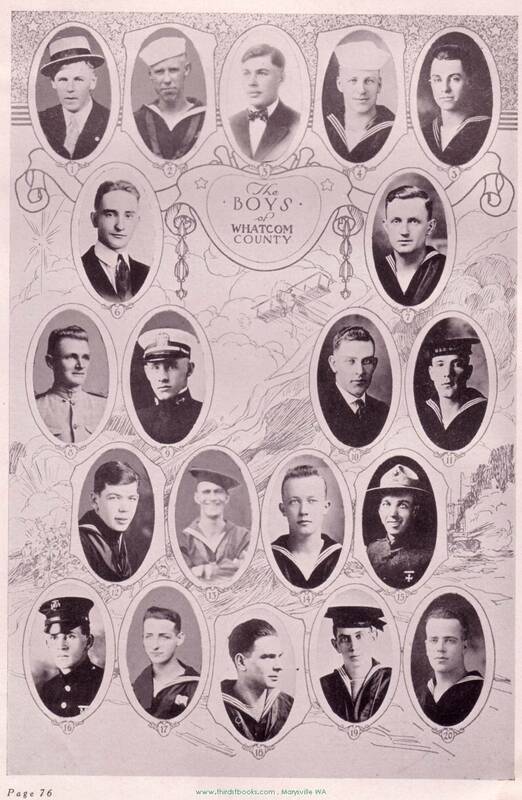 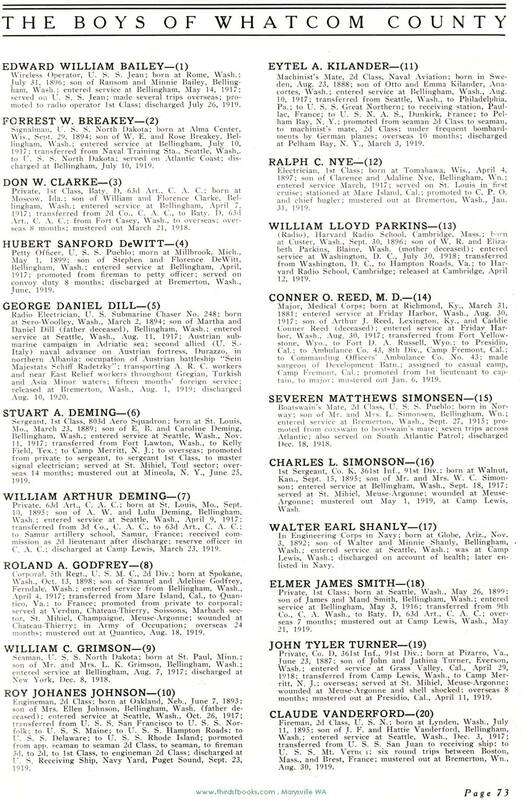 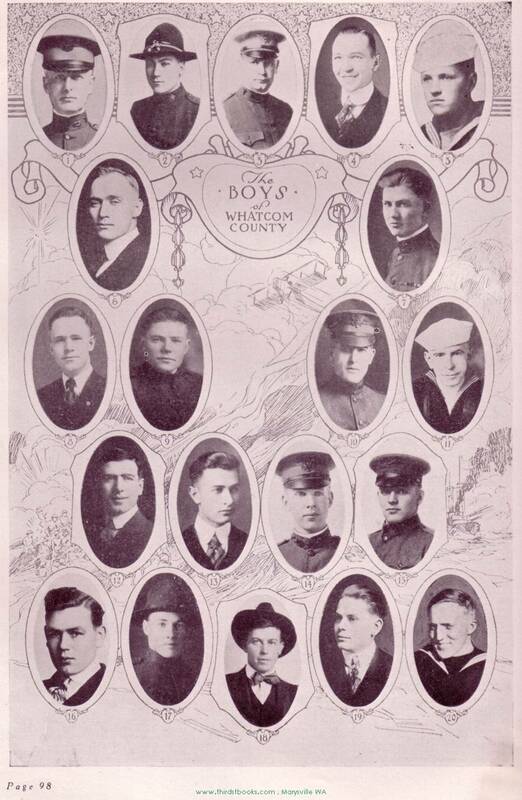 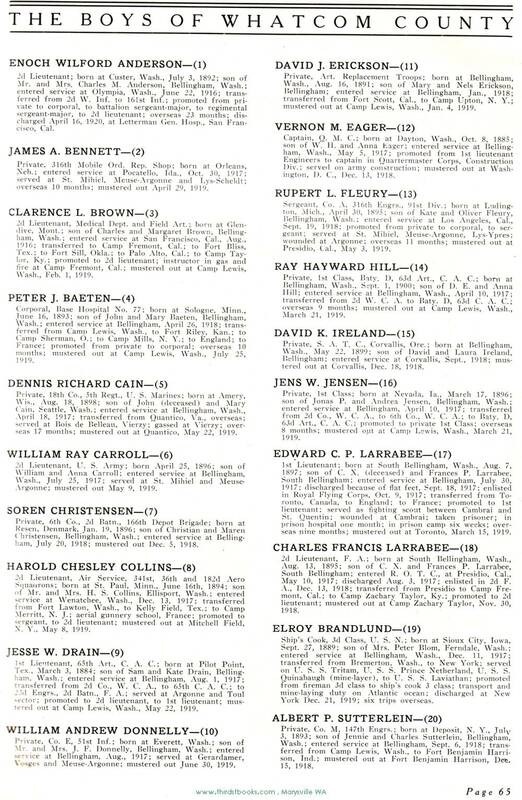 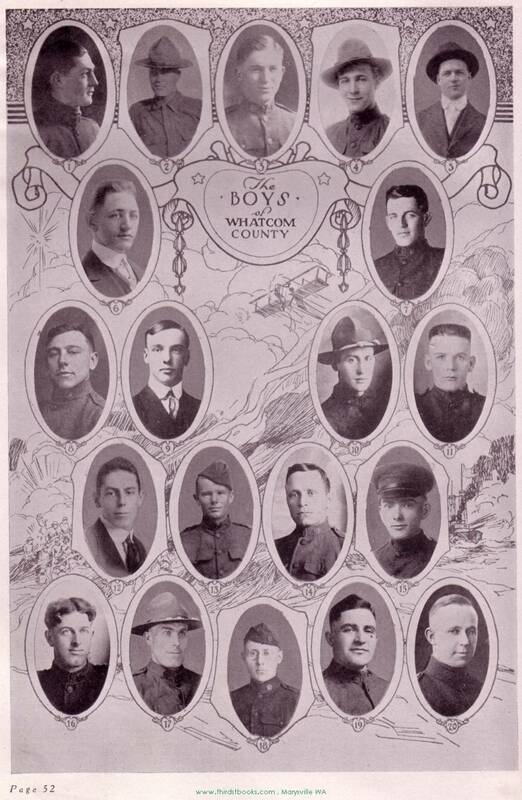 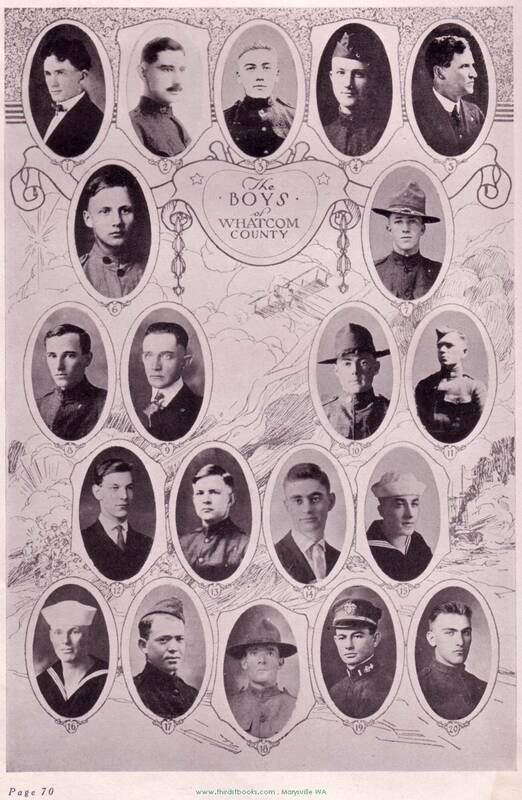 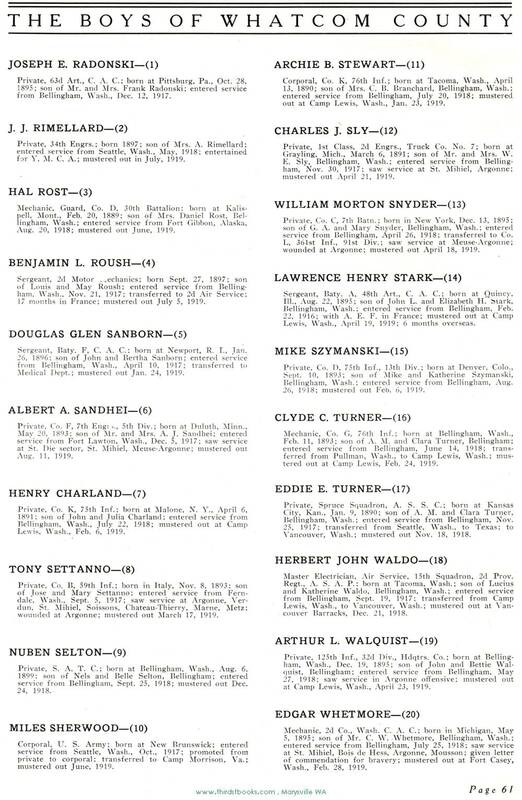 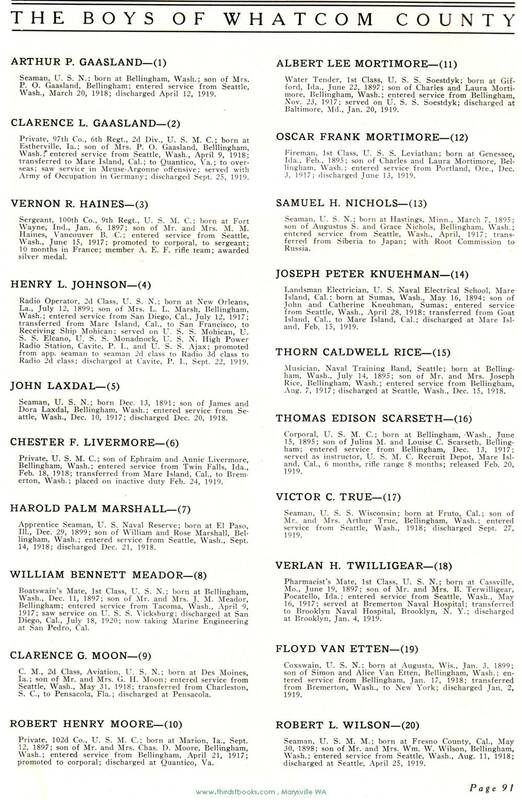 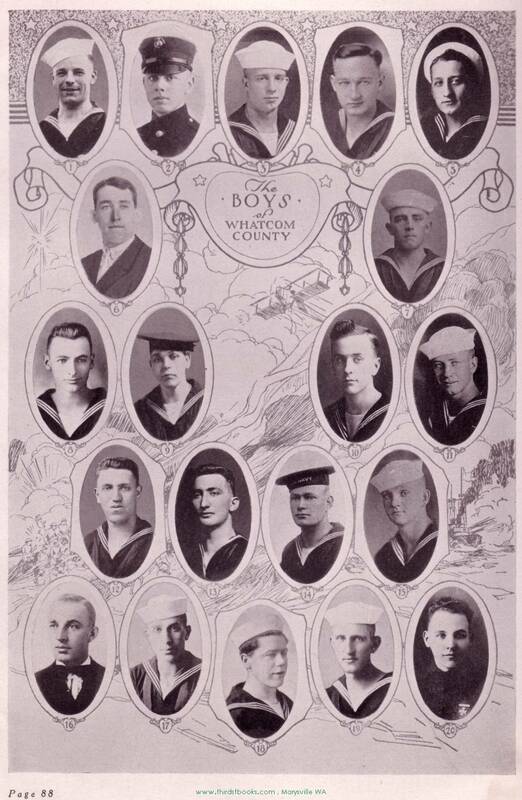 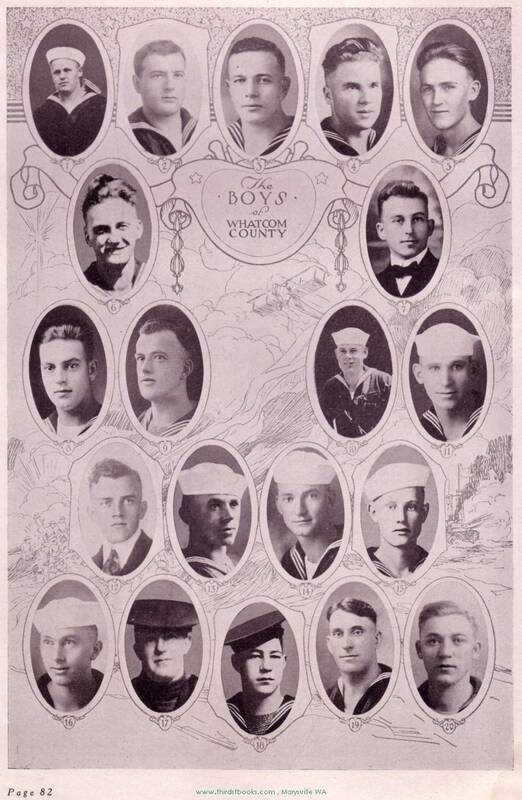 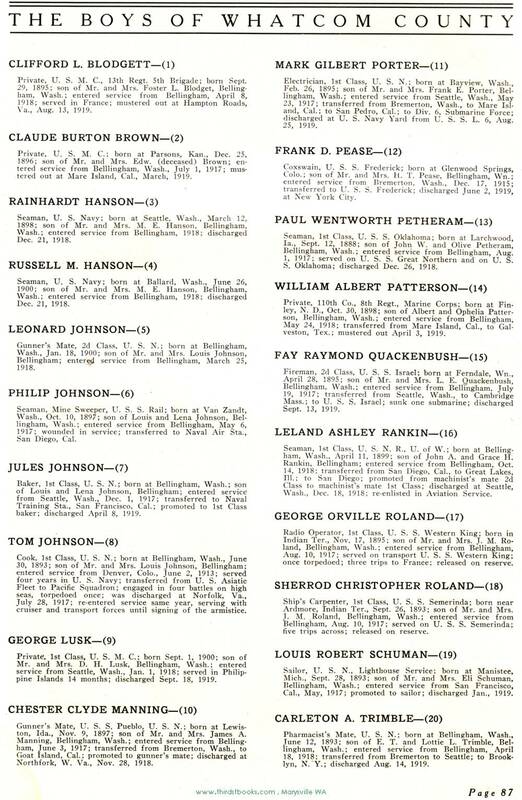 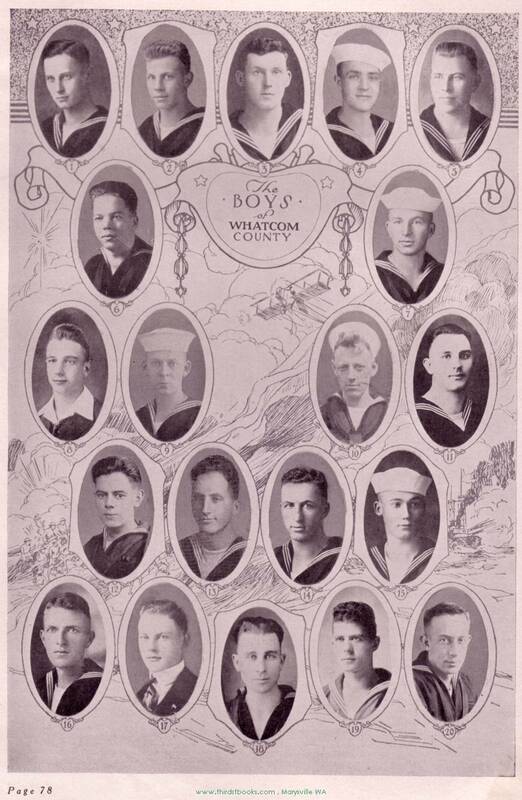 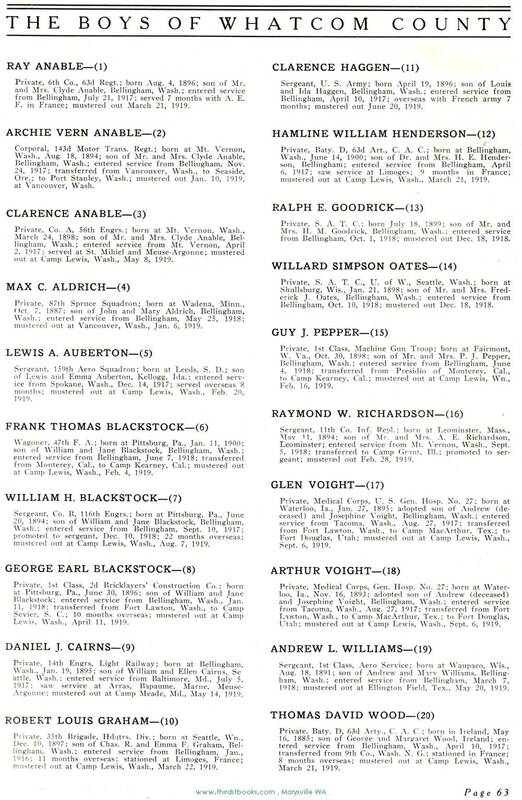 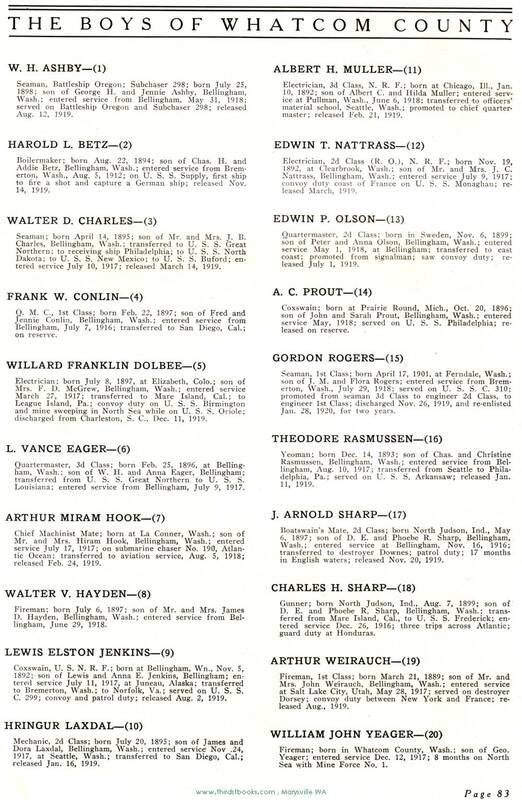 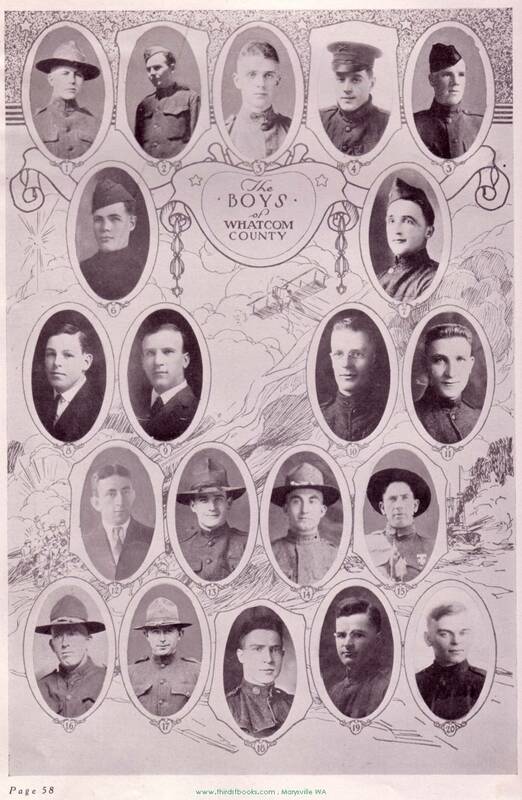 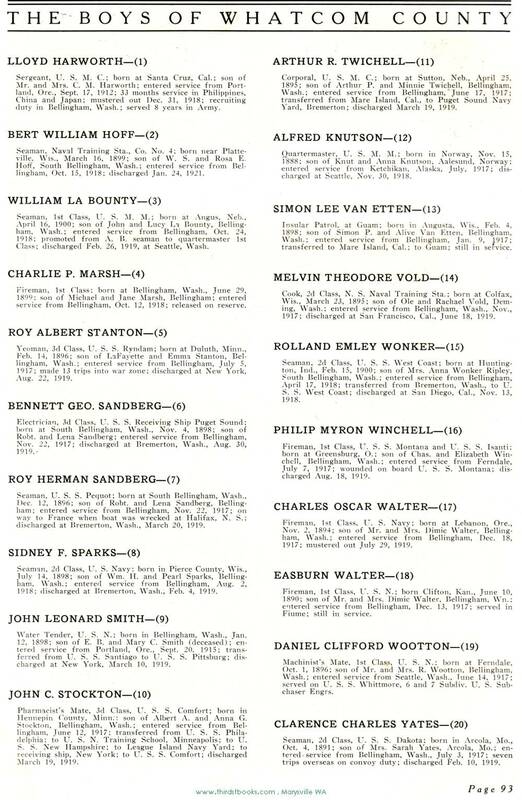 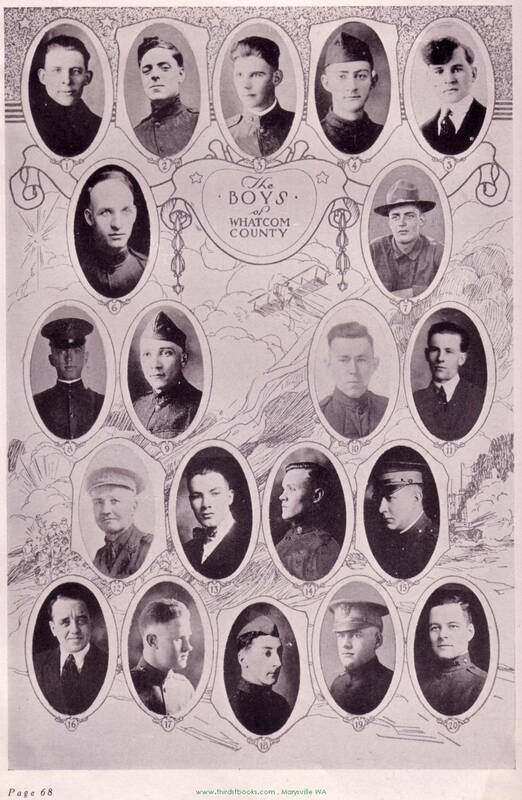 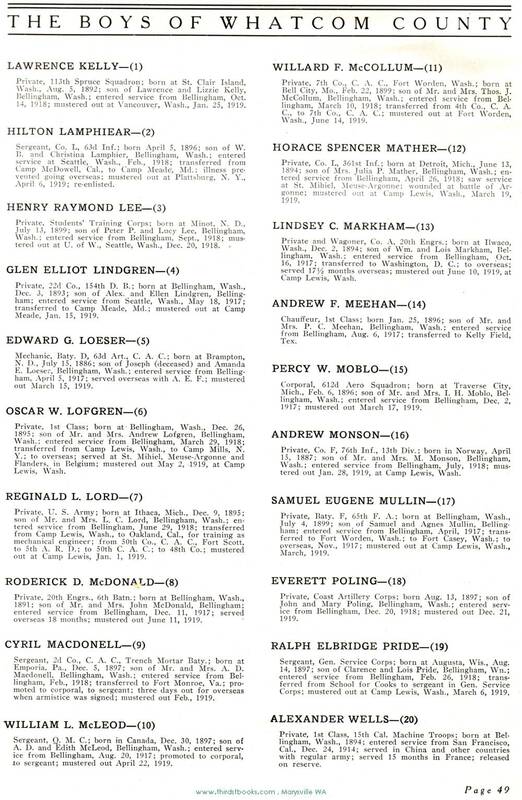 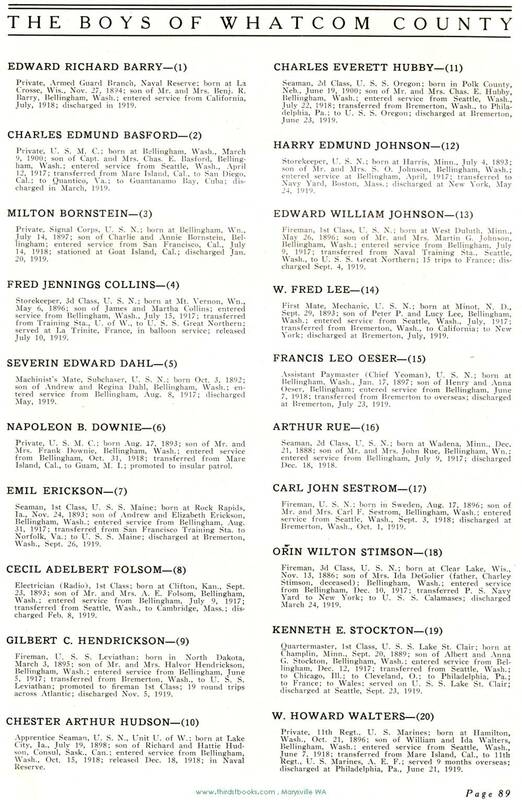 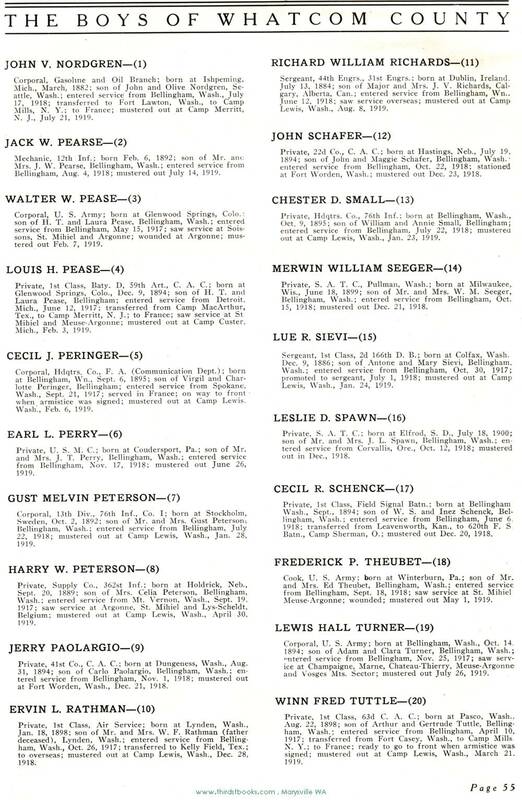 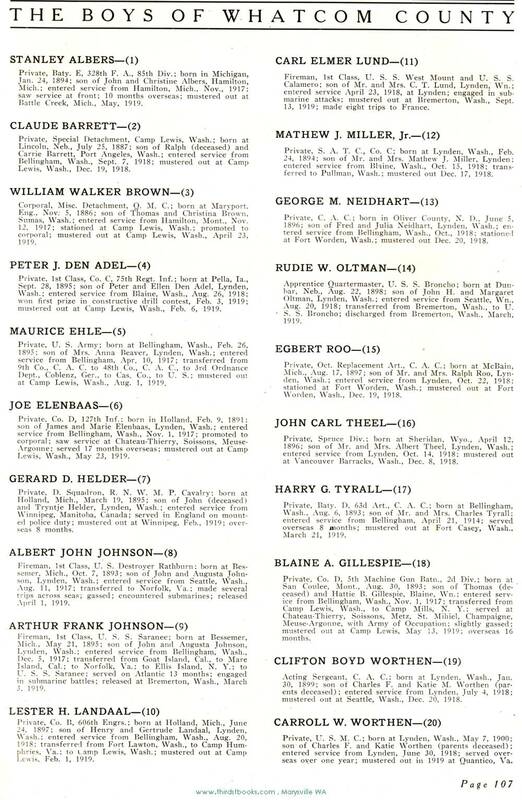 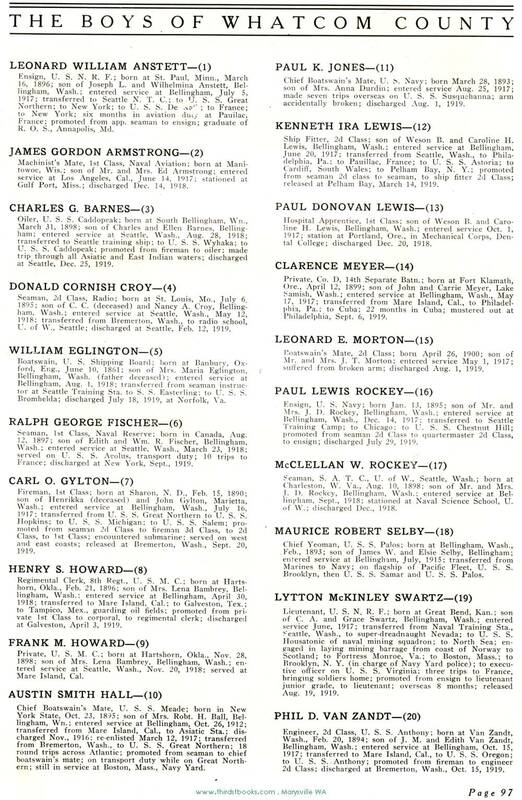 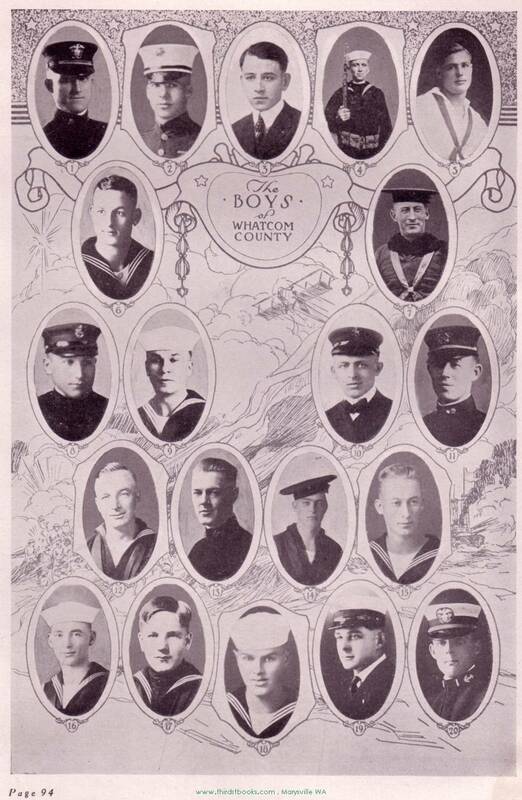 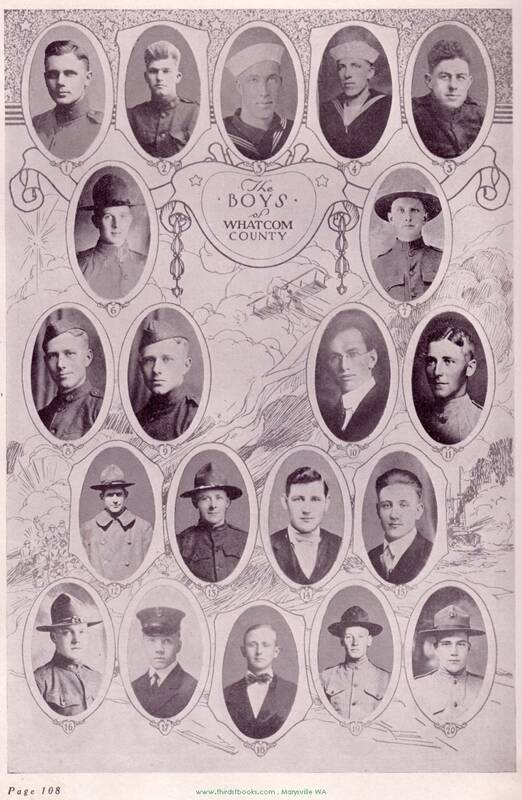 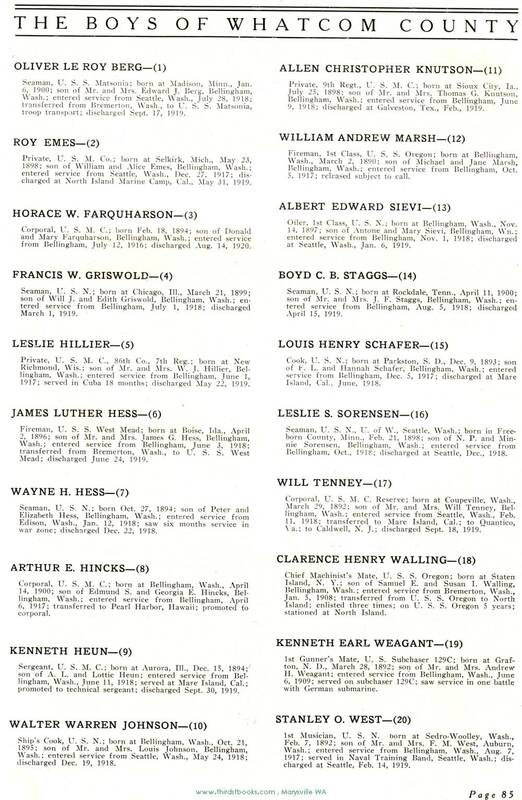 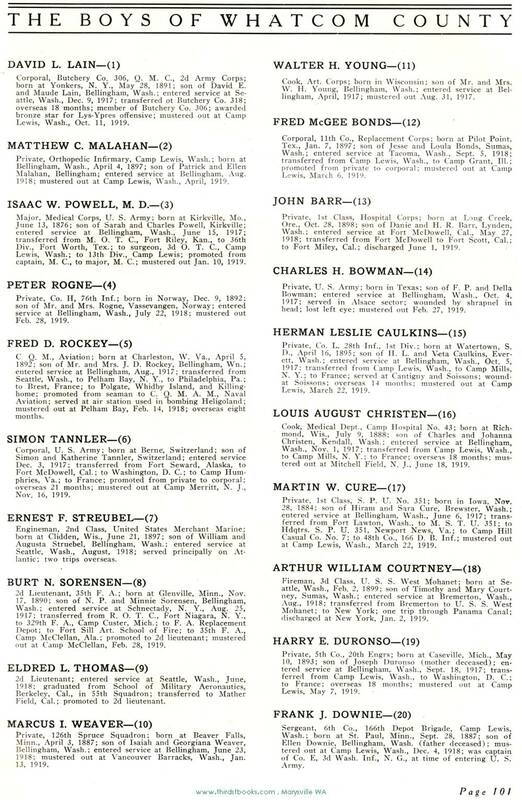 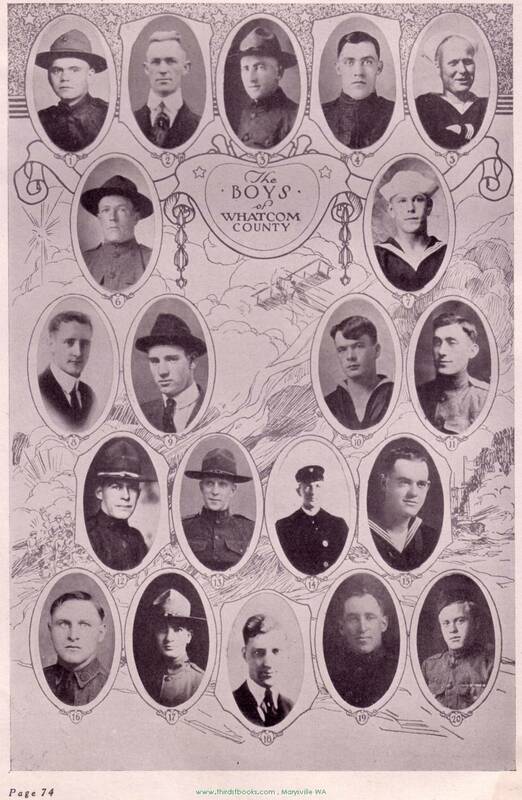 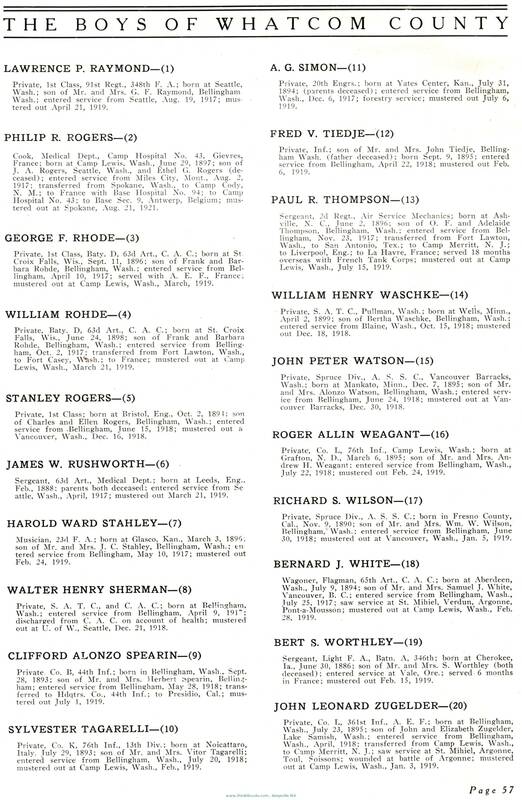 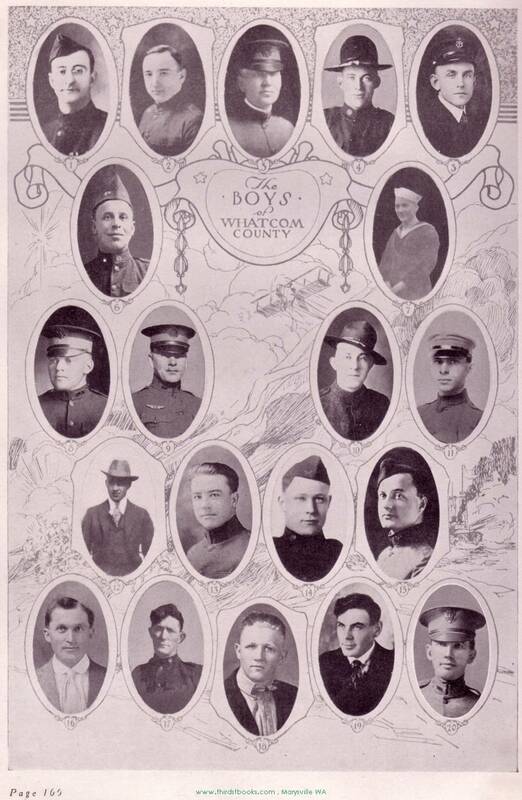 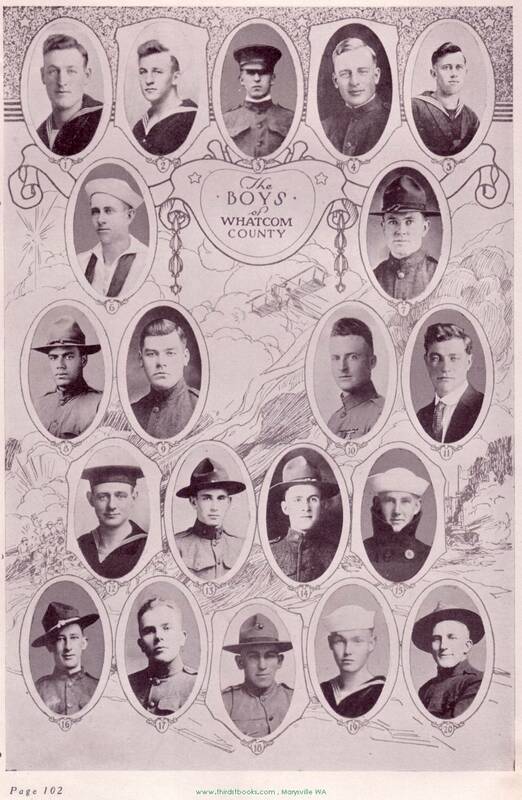 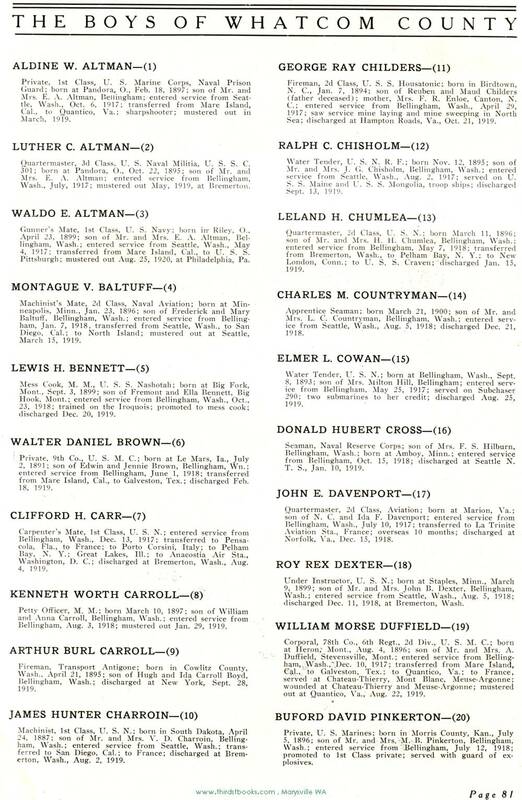 This page is an index of the men who served from Whatcom County. 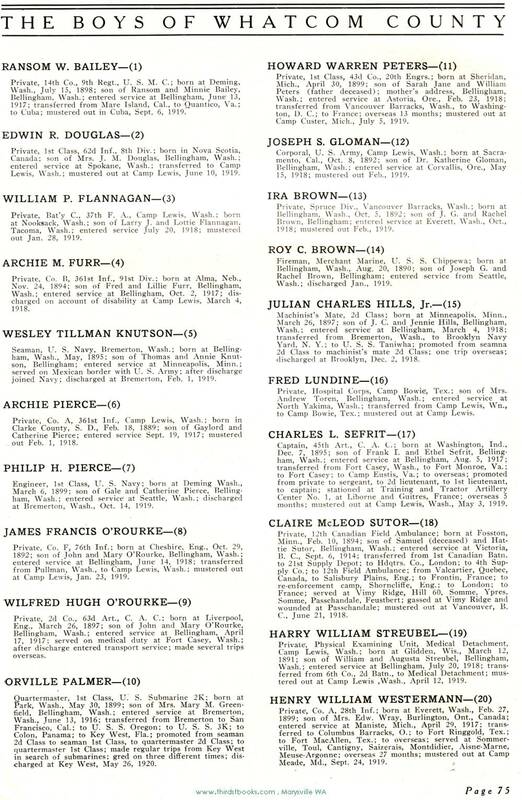 A full biography can be sent to you by emailing the bookstorelady and arrangements can also be made for snail mail pictures. 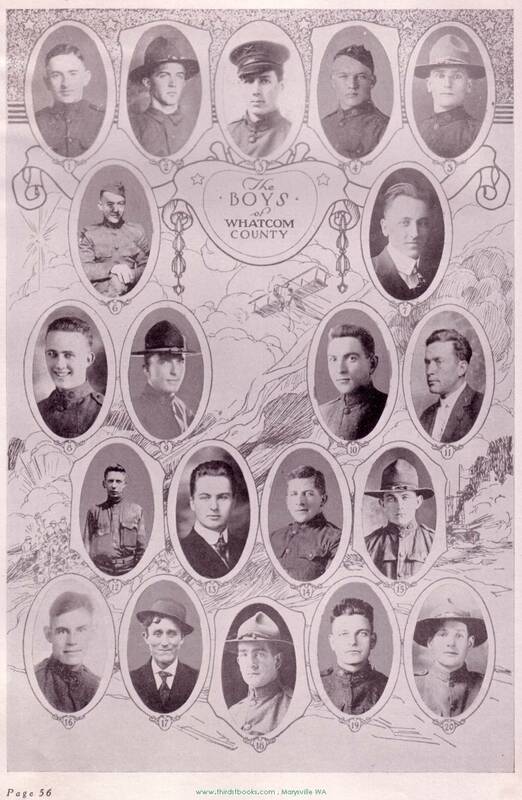 The book is part of the permanent genealogy library at 3rd St. Book Exchange (a used bookstore), 1615 3rd St., downtown Marysville WA.